It's unlikely that the winner has been decided in the first twelve days, but some have already lost it all. Quick-Step Floors and Movistar weren't afraid to get their hands dirty. With 10k to go in Stage 3 we saw Quick-Step Floors, and Bob Jungels in particular, exploit the ferocious crosswinds to rip the field to shreds. Jungels and his team left the best of the peloton scrambling for good wheels. Riders found themselves pinned to the left of the road or in echelon wondering how could something so predictable become so inevitable. When the dust settled, 11 riders made the break and stayed away. Five of them contested the sprint in Cagliari with rising-star Fernando Gaviria winning decisively. Quick-Step's devastating ride into the winds not only led them to a win but positioned Bob Jungels to take pink in the days to come. Movistar also put on a display of dominance during the run into Stage 9's 13.5k Blockhaus climb. The team in deep blue delivered a psychological blow by placing their men on the front several kilometers before the climb. In a blink, they thinned the herd diminishing the selection to eleven riders including Nairo Quintana and two of his teammates. Nairo put in several pointed efforts before breaking the backs of rivals Thibaut Pinot and Vincenzo Nibali. He then sealed his beautiful display of climbing prowess with a solo stage win, decisively taking over as race leader of the Giro. A day of brilliant execution for Quintana and Movistar. 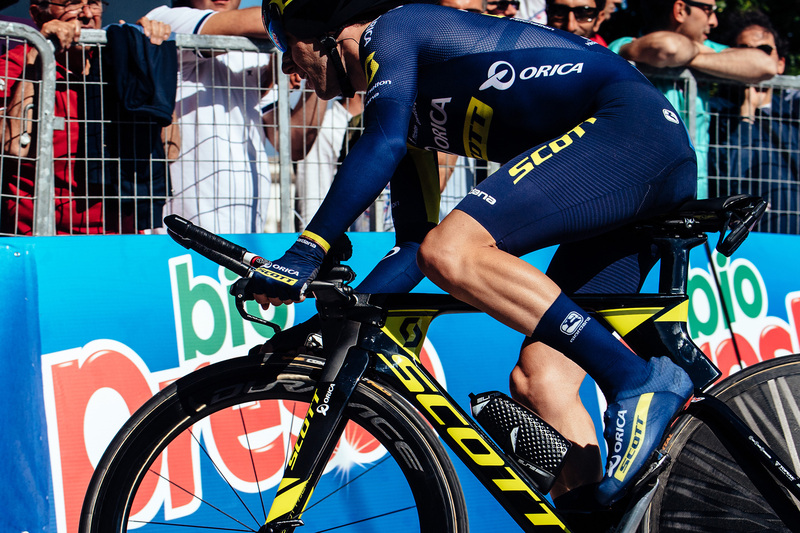 While several contenders became casualties at the hands of Nairo and his Movistar team, major favorites like Adam Yates, Mikel Landa, and Geraint Thomas fell victim to a game-changing crash. In the aftermath, these leaders were either left isolated or burning matches in a state of panic. Yates, Thomas, and Landa will certainly continue to fight, but the deficit may now be steeper than the monster climbs to come. 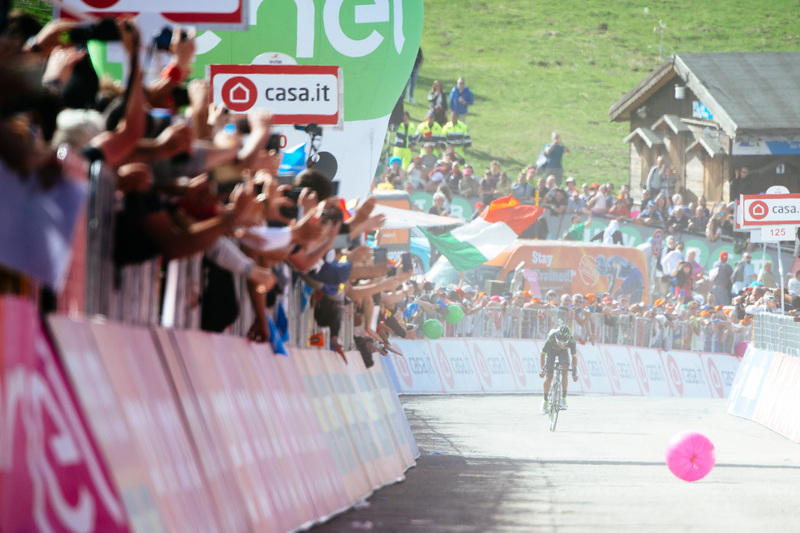 There's truth in the belief that after a rest day "anything can happen", and if the ITT was any indication, this year's 100th edition is going to be one of the most exciting Giro's of our lifetime. Nairo lost massive amounts of time in addition to the pink jersey while Geraint Thomas, the big loser from Sunday, came close to beating the ITT winner, Tom Dumoulin. Last year's champ, Vincenzo Nibali, also had a great ride keeping himself in contention. At this point, we can be certain Nairo is looking forward to the longer, steeper roads ahead. One of the big surprises for us here in the Giordana camp were the super rides by Astana's Tanel Kangert and Dario Cataldo. 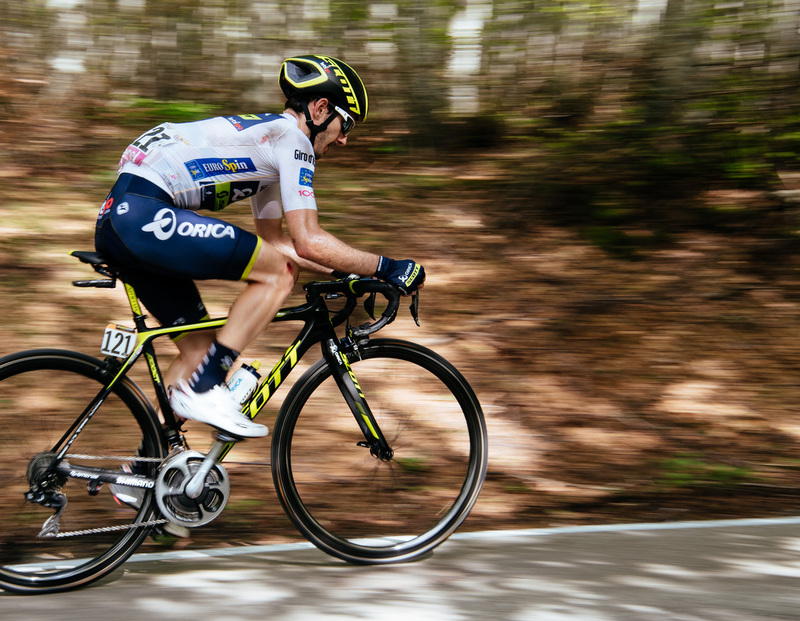 Tanel managed to crack the top 10 on the Blockhaus stage while both men posted respectable times during Tuesday's ITT. Speaking of time trial performances, Luis León Sánchez who is no stranger to the race against the clock put in a stellar performance for fourth. We predict we'll see Sanchez jump into another break before the race's end and this time he will emerge triumphantly. 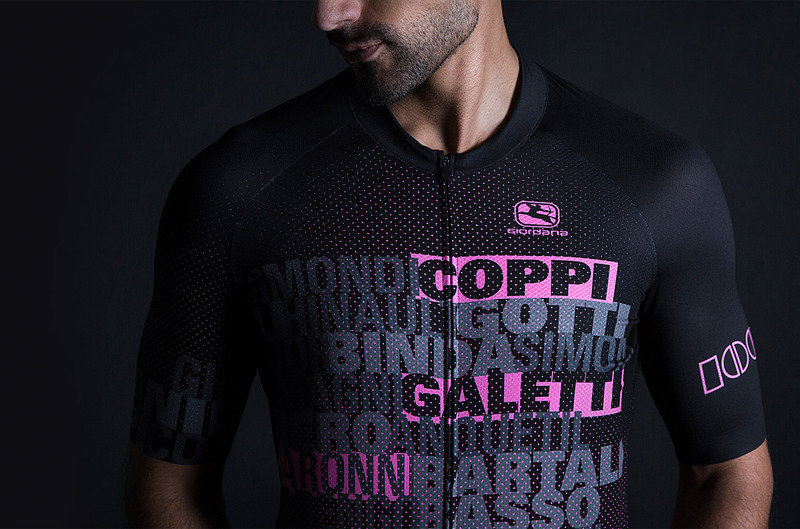 Dumoulin in pink will compel his rivals to roll the dice to gain precious seconds and, with the final epic week looming, we're sure to see more musical chairs in the GC. Needless to say, we will be rooting for everyone on both Orica and Astana who are full of motivation and riding inspired.